In honor of The View&apos;s 3,000th episode on Thursday, they&apos;re taking a look back at each of the hosts&apos; best moments. 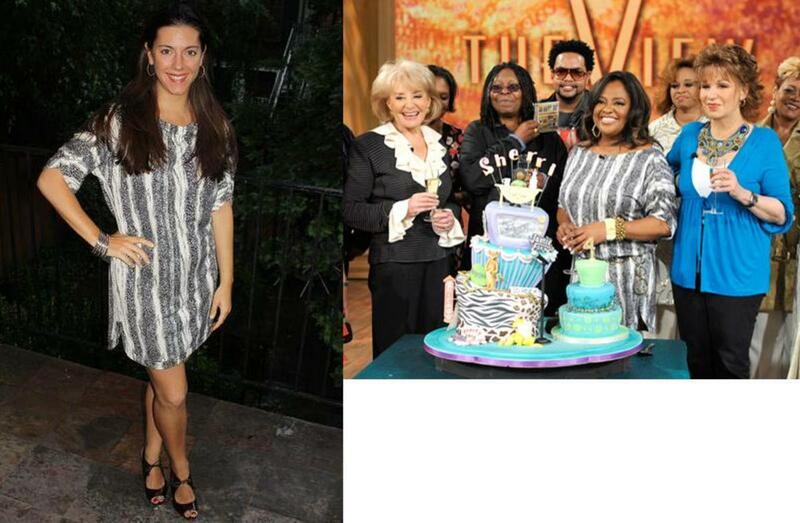 One of Sherri Shepherd&apos;s is her birthday celebration with the Clarke Sisters where she belted the black and white print Diane von Furstenberg dress with a gold chain link belt. Glamamom wore it throughout her pregnancy and recently belted it like Shepherd underneath a Madewell Midnight Blazer for the DVF/HP event at Fashion&apos;s Night Out 2010. It was also featured on Glamamom when she appeared on The View in June for a TJMaxx/Marshalls Designer Looks for Less segment.